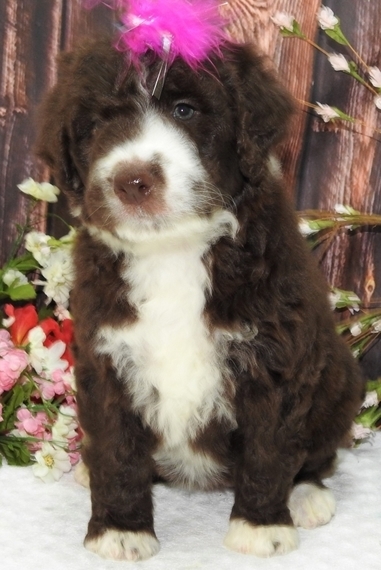 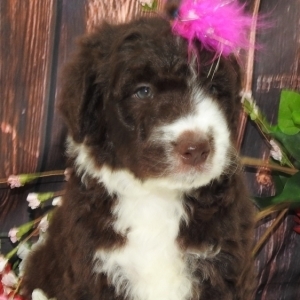 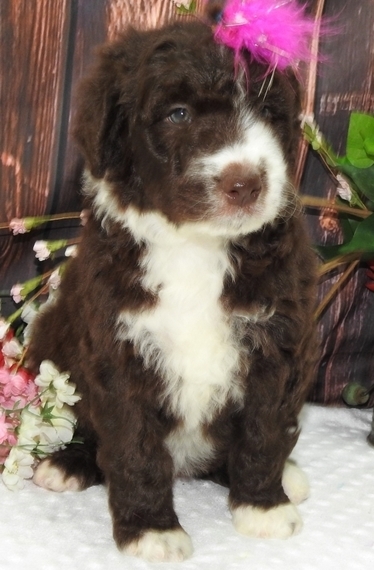 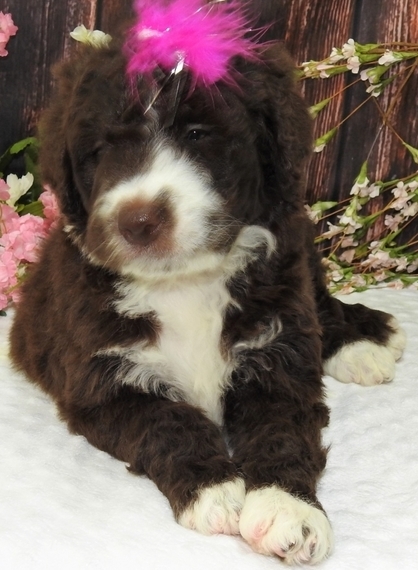 Sheba is a gorgeous dark red and white first generation standard size Aussiedoodle. She has lots of beautiful curls. She is easy going and fun loving. 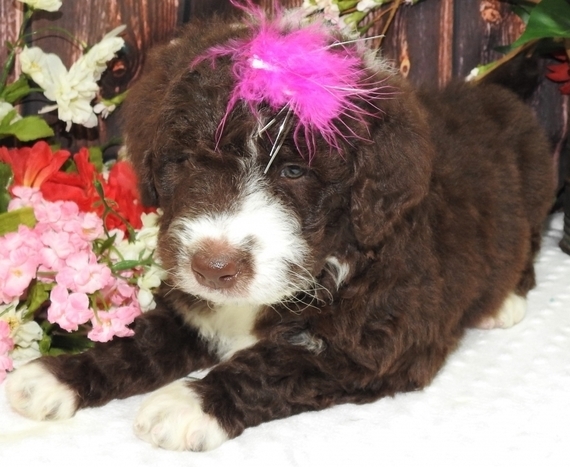 Sheba will be sure to come home to you happy, healthy, and ready to play. 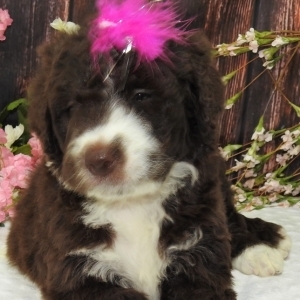 She will be up to date on her puppy vaccinations and vet checks just in time to come to her new home. 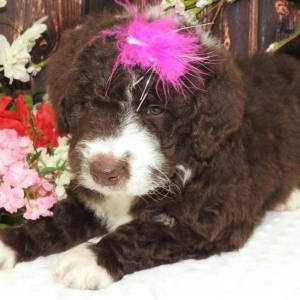 Don’t miss out on the newest addition to your family. 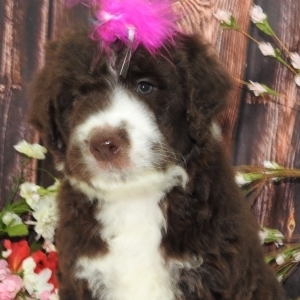 She will be sure to steal your heart away.